Please use the contact form at the bottom of the page for prices of Rex's works. "Rex is a dedicated and innovative artist who has deep feelings for the land. He has the technical and creative ability to portray, sincerely and well, what he obviously loves." Such genuine sentiments show that Rex Backhaus-Smith is one of Queensland's most celebrated and inspired artists. Having made the Sunshine Coast hinterland his home now for nearly ten years, there is plenty of inspiration from his everyday surrounds, but this has not curbed his curiosity to experience different parts of the world from Greece, Spain or Morocco to Blai, Thailand and Java and yet his greatest influence and love is the Outback. 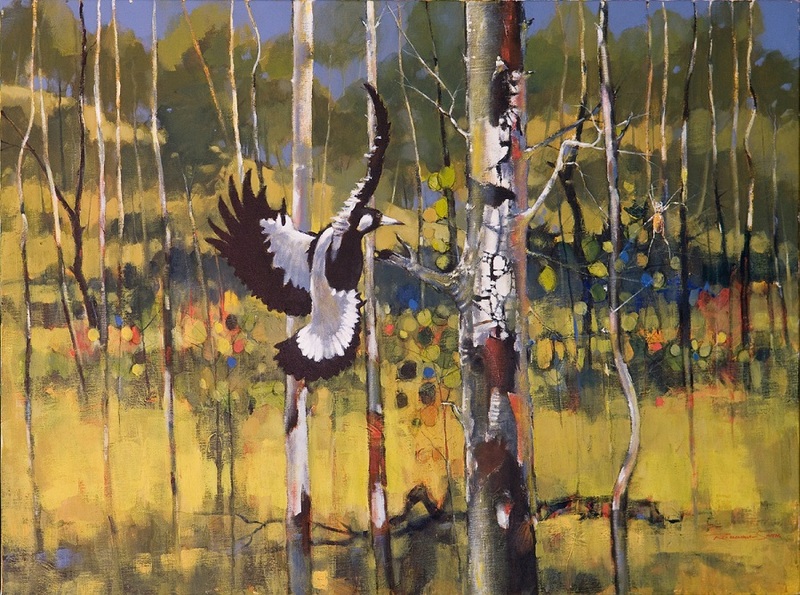 Rex's childhood and much of his life as a teacher was spent in Western Queensland and his fascination with the landscape, its creatures and historyare the sources of many major works. He brings to life characters, stories and his own experiences sometimes realistically and sometimes symbolically, but always creating a lasting image. 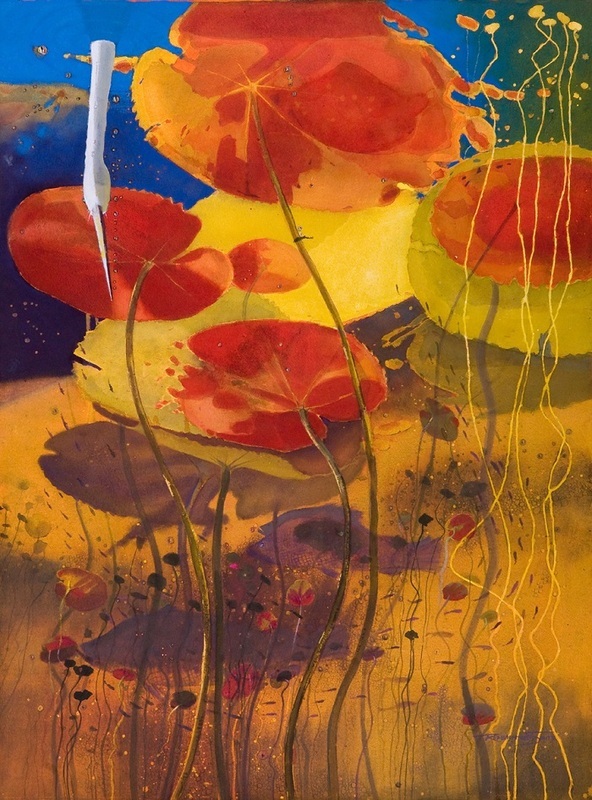 Rex uses figures, wildlife and colour with a flow that entices the viewer through the story of each work to glean every detail and keep seeking more. His use of windows, bubbles or ghosting allows so many different facets of a scene or moment to be portrayed and therfore continue the fascination. Such a career is nigh on impossible to summarise; an artist who has had major exhibitions worldwide; who has had two books already written about him and beed published in many more and has acquired and international following. Yet Rex Backhaus-Smith is one of nature's true gentlemen. His skills as an art tutor continue to be appreciated by many and his paintings admired by peers and public. Please use this form for prices and more information about Rex's works.